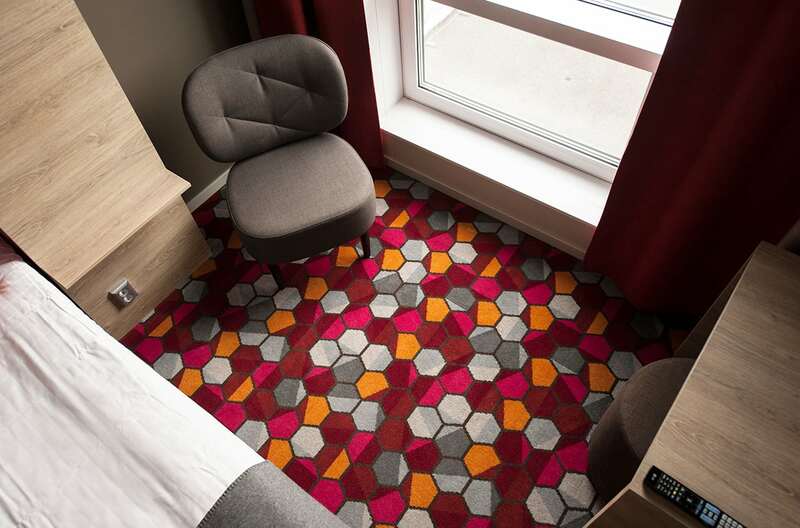 Dansk Wiltons carpet solution for MOTEL L Stockholm goes hand in hand with the new hotel concept focusing on design, comfort and sustainability. Fully in line with current trends, Motel L focuses on a “clean conscience”. The focus is on a healthy indoor climate as well as on the efforts to reduce the environmental impact and thus run a sustainable business. A good reason to choose a carpet solution from Dansk Wilton. Today’s hotels are facing new demands due to the strong competition in the hotel market and changing preferences among travellers. To meet today’s requirements, Ligula Hospitality Group has built the first hotel in a brand new hotel concept: Motel L in Stockholm. The parameters for ensuring the success are design/atmosphere, comfort and sustainability. The hotel is built according to the Swedish environmental certification system “Miljöbyggnad”, with the highest certification. 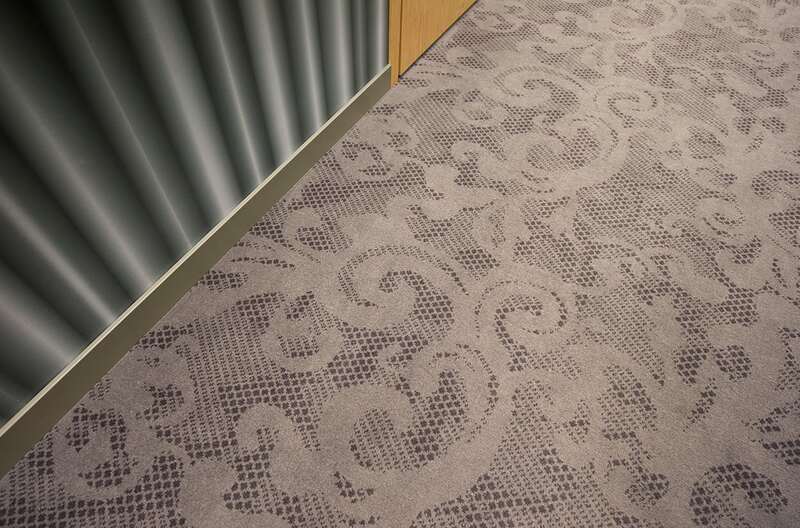 Therefore, there is extra focus on the “health” of the materials used in the building. Dansk Wilton has delivered custom designed Colortec carpets for rooms and corridors, as well as an Axminster carpet for the associated restaurant. 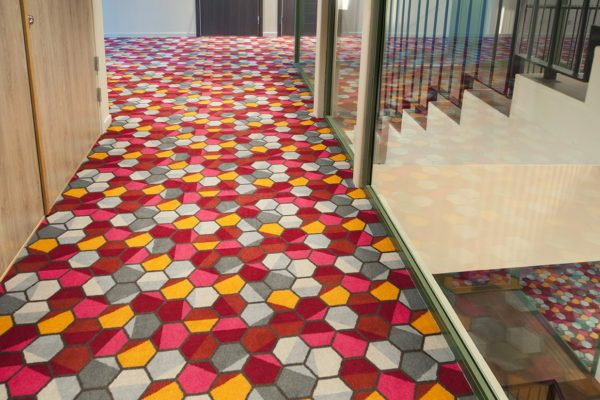 The impressive design elements and relaxed atmosphere is ensured by a strong graphic identity, which also includes graphic illustrations and patterns by the designer Lisa Bengtsson on the walls around the entire hotel. The exciting décor is emphasized by the selected interior from Muuto, Erik Jørgensen, Tom Dixon among others. Beds and linen of extra high quality reflect the focus on comfort and a good night’s sleep. In addition to the focus on design, comfort and sustainability, the room rate is an important competitive factor for the new hotel concept. 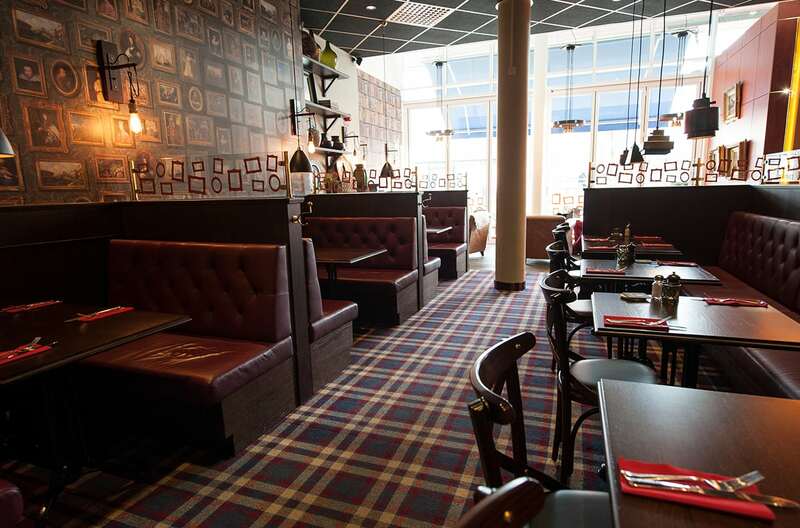 Prices start at 70 EUR, and are thus attractive considering being in central Stockholm – a crucial element when the hotel guests at the same time get a great experience in an inviting design hotel with an excellent indoor climate. 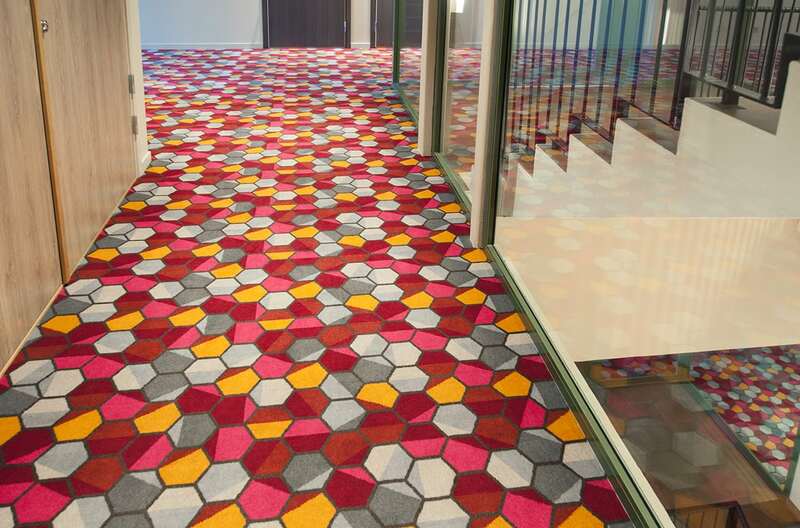 Custom designed Colortec carpets for rooms and corridors and an Axminster carpet for the associated restaurant.